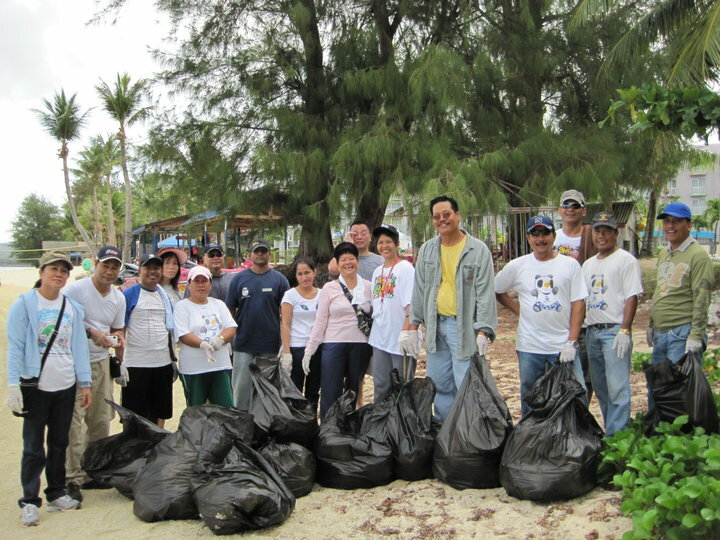 Congratulations and our heartfelt thanks and gratitude go out to all the over 2,000 participants in this year's very successful DEQ-led Island-wide Clean-up. We proved once again that the successful collaboration between coalition partners in the government sector, private sector, and community is an unbeatable combination! The two-day clean-up coincided with the Flame Tree Arts Festival which drew hundreds of participants and visitors from off island to the CNMI and to Saipan in particular to celebrate our arts and cultures. Our thanks to the Arts Council Officials and Secretary of DCCA Melvin Faisao for supporting and partnering with Beautify CNMI! 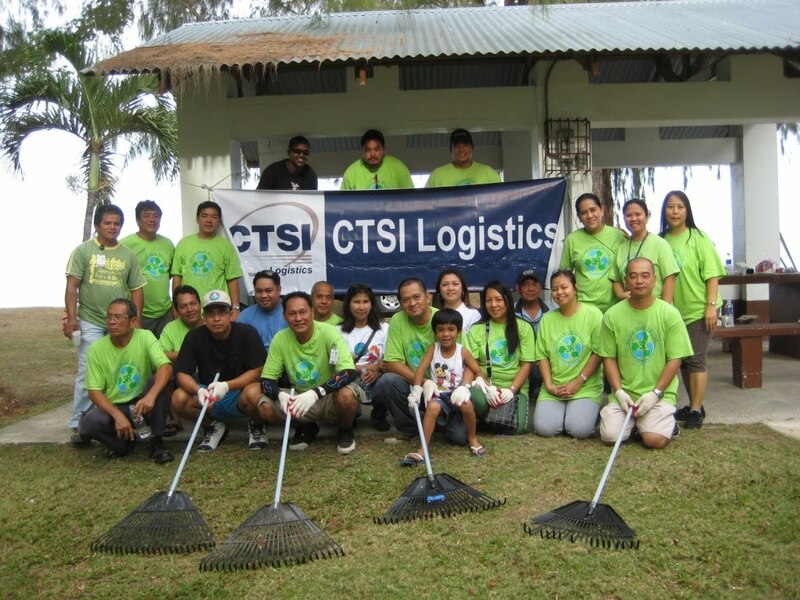 As we embark on our fifth year as coalition partners of Beautify CNMI!, I wish to thank all of those who helped us succeed these past four years. Thank you for helping to foster pride in ourselves and in our communities and in making the CNMI a paradise to live and visit. Of course, this coalition would not be anywhere without the untiring work and dedication of all the past and present subcommittee chairs and their respective members who run the Beautify CNMI! coalition. I also thank the wonderful non-profit groups who gave and continue to give so much of their volunteer time to improving the health and aesthetics of our land and sea environment. Your efforts and contributions are very much appreciated. The private sector has been amazing coalition partners and leaders in our community. We are truly grateful for your monetary and in-kind donations and look forward to continuing our coalition partnership for the future. Last, but not least, our thanks to the third member of this coalition partnership -- the government. While we do know that government simply can't do everything, together with our private-sector and community volunteers, we can accomplish a lot more. 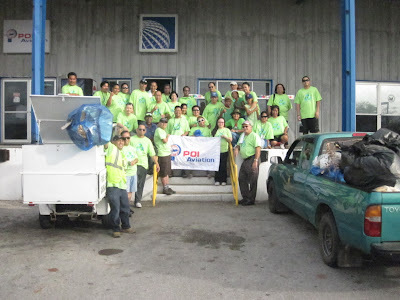 Next year, when we celebrate our fifth-year anniversary, we will, once again, be recognizing Environmental Champions and Stewards in our communities, including Rota and Tinian. Might that Champion and Steward be you? Might that be the volunteer right next to you? Might this person be off island but whose presence is known and felt in the CNMI? Keep an eye out for the next nominee or nominees. Each Award goes to an individual and a group of volunteers. Yes, the volunteer work must come from the heart! So go out there and continue spreading the famous Beautify CNMI "beauty virus"! Finally, my personal and heartfelt thanks to Laurie Peterka and Joe Kaipat for all their sacrifices, commitment and dedication in helping me ensure that the Beautify CNMI! coalition continues to move forward. Thank you, Si Yu'us Ma'ase and Olomwaay! More pictures and final numbers to follow as data collection is finalized! Congrats, Team. I hope this gets published in the newspapers.